Situated in Sorrento, this houseboat is within a 10-minute walk of Deep Valley of the Mills, Corso Italia, and Piazza Tasso. 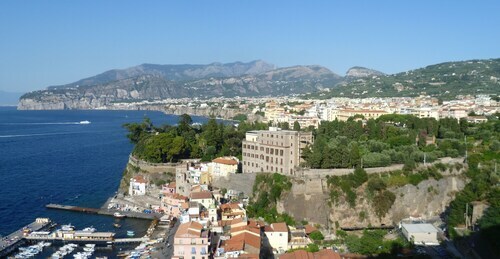 Port of Sorrento and Marina Grande Beach are also within 15 minutes. Sorrento Station is 6 minutes by foot and Sant'Agnello Station is 29 minutes. Located in Sorrento Historic Centre, this houseboat is within a 10-minute walk of Marina Grande Beach, Corso Italia, and Piazza Tasso. Port of Sorrento and Gulf of Naples are also within 2 mi (3 km). Sorrento Station is 16 minutes by foot. 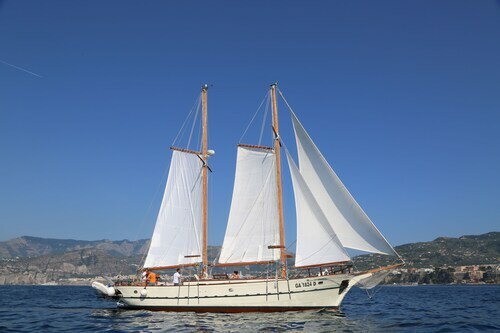 Located in Sorrento Historic Centre, this houseboat is steps from Port of Sorrento and Gulf of Naples. Piazza Tasso and Corso Italia are also within 10 minutes. Sorrento Station is 14 minutes by foot. Have you ever been called “too independent”? Well, here at Wotif, we don’t think that’s a bad thing. We celebrate adventure and encourage exploring on your own terms. What we’re about to suggest might sound crazy, but we promise, it’s awesome: Sorrento houseboat hire. It takes all the comforts of home and moves them onto a boat; it’s sort of like caravanning, but on the water. And whether you’re travelling solo or looking for pet-friendly options for the whole family, there’s one thing Sorrento house boaters (yes, you’ll be called a house boater, now) have in common: they’re definitely an adventurous bunch. From starboard to port, houseboat rentals in Sorrento are the epitome of independence, so get ready to embrace your can-do attitude. You’ll cook dinner in the galley, not the kitchen. You’ll use lines, not ropes. Need to go to the back of ship? That’s aft. But you don’t need to be a sailing expert or memorize your nautical phrasebook. Houseboat hire is also just a great opportunity to say things like “Grab a fishing pole from amidships” or yell “Heave ho!” for no apparent reason. And Sorrento is the ultimate locale to test out your seaworthiness. Looking for the ultimate experience, too? You just may find your preferred amenities in one of our luxury houseboats. Practice your square knot and ready the dinghy—you’re heading for smooth sailing when you book Sorrento houseboat holidays with Wotif. We’ll help you get your mooring with great prices and amenities, and we make it easy to plan your trip. We see an amazing getaway in your future, or as a boater might say, dead ahead. Everything was fantastic, staff, the room, restaurant, pool area, etc couldn’t fault a single area. With direct access to the beach, this Sorrento Historic Centre hotel is in the city center and within a 10-minute walk of Chiesa di San Francesco, Piazza Tasso, and Marina Grande Beach. 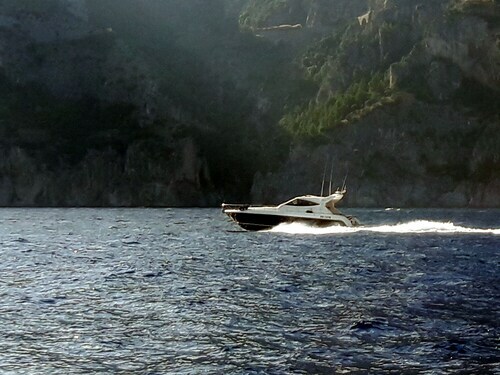 Corso Italia and Port of Sorrento are also within 10 minutes. Sorrento Station is 12 minutes by foot. 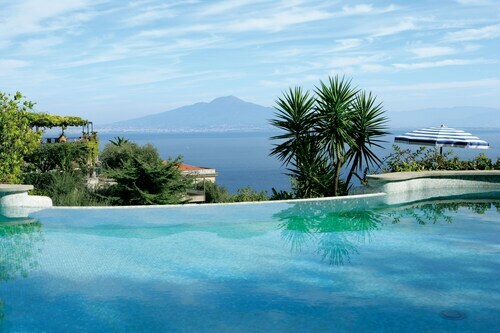 The hotel is perfectly located amid the dramatic hills and cliffs above Sorrento. It's a 10-minute walk to the cathedral and a short ferry ride to the colorful fishing village of Marina Grande. 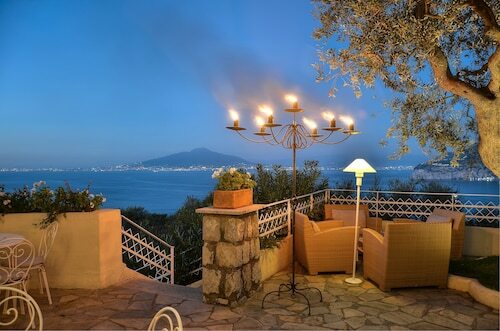 In less than an hour by train or car, guests can also visit Mount Vesuvius and the ruins of Pompeii. 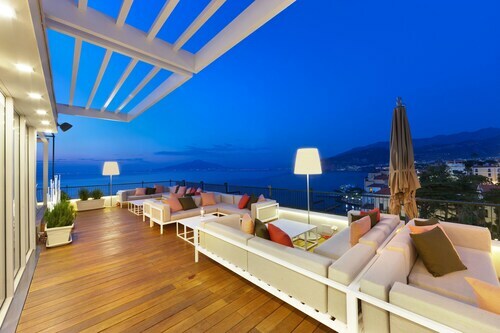 This family-friendly Sorrento hotel is located on the waterfront, steps from Sedile Dominova, Corso Italia, and Piazza Tasso. Port of Sorrento and Gulf of Naples are also within 15 minutes. Sorrento Station is 5 minutes by foot and Sant'Agnello Station is 27 minutes.